Solgar L-Theanine: L-theanine is a unique amino acid found exclusively in green tea and one type of mushroom that is growing in popularity as an alternative to the herb Kava Kava. 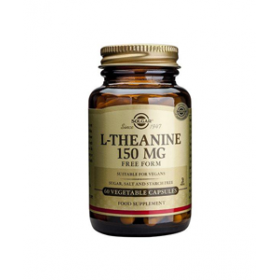 L-Theanine crosses the blood brain barrier and has been shown to increase brain alpha waves. Alpha brain waves are an indication of a state of relaxation and mental alertness similar to that achieved through meditation, promoting a relaxed, yet alert state of mind without sedation. 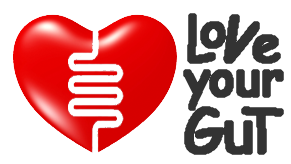 In addition the antioxidant properties of L-theanine are believed to support overall cardiovascular health and general well being. Solgar L-Theanine Naturally found in Green Tea, L-Theanine is proven to soothe nervous tension and support mental calm and focus during times of stress. L-Theanine is quick acting, non-drowsy. Solgar L-Theanine 150mg Features: - Nervous tension - Mental calm & focus - Quick acting As a food supplement for adults, one (1) vegetable capsule twice daily between meals, or as directed by a healthcare practitioner. Do not exceed directions for use. Ingredients Each L-Theanine vegetable capsule provides: L-Theanine 150mg Vegetable Capsule Shell: hydroxypropylmethyl cellulose Bulking Agent: microcrystalline cellulise Anti-caking Agents: Silicon dioxide, magnesium stearate* *Made from vegetable stearic acid Solgar's L-Theanine vegetable capsules are free of corn, yeast, wheat, soy and dairy products and is formulated without the use of artificial preservatives, flavours or colours.